The silence of hidden guilt is unhealthy in any situation. It hinders the blessing of forgiveness and restoration. The silence of anti-Semitism is even more deadly. The God of Abraham, Isaac and Jacob, our Creator, has set a group of people apart for His Glory. This plan has been a point of contention since its conception. But the plan remains in place. It is eternal. Man has, in his arrogant pride attempted to thwart the plan, but only temporarily. Then he attempts to hide his guilt behind a veil of silence. But the truth will be revealed. Those who are speaking out are finding forgiveness, mercy, acceptance and peace for their soul. This book is helping to make that happen. It is the good news! Pass it on! This book is very easy to understand and is very informative. It shows how things of the past, when not dealt with, affect future generations. For too long, those affected by the Holocaust have been silent from shame (perpetrators) or trauma (victims). The effects cascade down through the generations when repentance and forgiveness are not released. The stories must be told so healing may come, healing that has not been possible before. I have first-hand knowledge of being delivered of what I call "Holocaust Residue" by breaking the veil of silence. 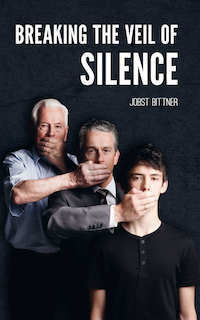 A must read for any perpetrator or victim of the Holocaust or their descendants.